V2 Cigs is the number one online USA e-cigarette company and is now available in the UK as the Vapour2 brand. BuyV2Cigs.co.uk is the main V2 UK site but Pure-Eliquids.com also distribute V2 Cigs vape products and have sales from time to time so do check them out too. The vast majority of e-cig review sites we compared have ‘V2 Cigs Review’ in their top positions. The V2 Cigs product range offers top of the range quality. Importantly, the V2 e-liquids contain no impurities and your e-liquid from V2 is lab tested. A full lab report is available online for every batch of e-liquid and it gives full details of all ingredients. The whole V2 Vapour2 product range includes characteristics that tend to supersede the competition, something as simple as having their 4.2 volt battery for example rather that the standard 3.7 volt that everyone else seems to have – more power, more vapour, longer life span. The V2 Cigs mini-tank system is screw-on, others vendors just push-on which can lead to leakage. Again simple improvements and attention to detail that make the difference – it’s just all better. 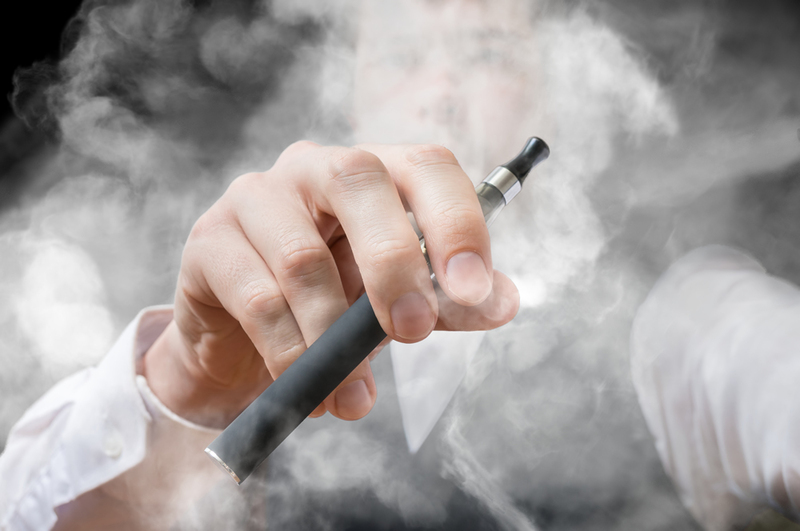 There has been quit an issue within the e cigarette industry regarding product quality. This is partly due to the fact that the vast majority of e-cigarettes out there are made in China and then rebranded for sale by so called “E-Cig” companies. There are only two or three companies (to my knowledge) that have a vertically integrated business model, managing the whole production cycle and quality control from design to delivery in their own factory and dedicated production lines. In a fast growing market there will always be some quality issues and demand will outstrip supply from time to time but the key is to have some control over the quality of the end product. The V2 Cigs introductory beginners kit is a steal at £22.99, and it will help get you started on a low budget. It has the added advantage of having a range of e-liquid flavours so you can find the best e-liquid for your taste. If you are new to vaping and need further information on getting started check out our new vapers guide. 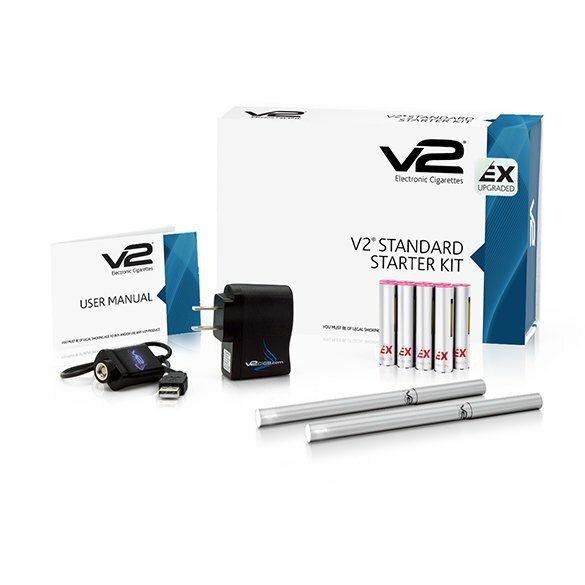 V2 offer a full range of e-cigarette kits for both new users and a range of Vaporizer products for the advanced user. Choose from the V2 Classic range, their Ex-Series range and the V2 e-Liquid range of vaping kits. There will definitely be one that suits you. If you are new to vaping, I would consider either of their cartridge options (for example refills containing the e-liquid) offered in their classic kits or the V2 Ex-Series kit – a new innovation in vaping. For the more experienced, V2 Cigs also have a mini-tank shisha pen option. All the V2 Cigs reviews show that the V2 vapour production is exceptional, and there is a realistic and reassuring throat hit. A must have if you are going to use an e cigarette to stop smoking. Good vapour production mean you are getting your nicotine! V2 offer the widest range of accessories of all the top three winning e-cigarette companies including a sleek design PCC option that charges the electronic cigarette on the go. To keep things straightforward, V2 Cigs offer the cartomisor option pre-filled with e-liquid but go further by offering a wide range of gourmet e-liquid – tobacco and e-shisha flavours. V2 Cigs Red and Congress flavours rank in the top of the best tobacco taste e-liquids available. Many good e-cig reviews also show that the V2 Cigs menthol flavour is exceptional. Refill running cost is relatively cheap and with the e-liquid option you can save even more. For the purist V2 also offer their “Ex Blanks” carts as part of the V2 e-liquid starter kit (ie. Shisha Pen) which are a straight forward clear mini tank system that you can simply fill using any e-liquid. Coupled with their high power battery (we like the black battery best with this option) you can vape all day effortlessly. In the early days, poor quality batteries forced the market to introduce the oversized and rather clumsy “mod” or ego type electronic cigarette – now V2 technology allows for a 4.2 Volts / 380 mAh battery in a neat and tidy design – I would suggest that this may well make the UK “eGo” obsolete. V2 Cigs is much closer to the feel of normal smoking which is important especially when you start out. Something vital that the eGo’s & mods are lacking. 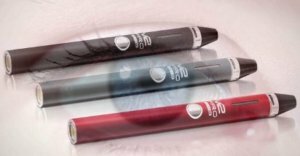 There is now a designer range of e-cigarette batteries – the Ex-Series – including a carbon fibre look that doesn’t light up at the end. The top of the range Ex-Series also offer both automatic and manual options, with the manual option having a locking mechanism. Three clicks locks and three clicks unlock the battery just like the V2 Pro Series. They also offer a range of elegant e-cigs for women. This year V2 has introduced a number of advanced vape devices, including the V2 Pro Series 3X. These are advanced small scale vape pens which include a cigarette sized variable voltage device with magnetic charging and a touch screen for various options including power adjustment. In addition, V2 Cigs have an advanced range of vaporizers, the V2 Pro Series which have proven to be amongst the best vaporizers on the market boasting the ability to vape using e-liquid and dry herb using an all in one device. The new sub ohm Pro Series 3X vape pen is now available and also offers three in one capability. Their quality products and continual innovation secures V2’s position as the best e cigarette UK brand. or US readers Visit V2 U.S.A. Final word, V2 is the best e Cigarette brand you can buy at the moment! Positives: Simply the Best e-cigarette out there! Proper tested e-liquids with a good selection of flavours allowing you to get the best e liquid to suite your taste. Select from pre-filled no-mess carts or use the Ex-Blanks to refill with your e-liquid of choice. All accessories in the Ex-Series range are interchangeable with their Classic Range so you can try the whole range. For less than the price of a weeks cigarette supply you get a bespoke e-cigarette kit including the equivalent of 4 or 5 packs of 20 cigarettes. Negatives: Can be slightly more expensive but V2 Cigs products last. You pay peanuts you get monkeys!